If I’m being honest, my life is pretty boring these days. When I am up to something exciting, whipping out my phone to take photos just isn’t a priority. I’m perfectly happy with both of these facts, but I can’t say it makes for much potential blog material. Regardless, I let to get on here and write something, anything, every once in a while. And that’s when you get a post full of randomness from me. 1. We are snowed in at my parents house right now. I attended a friend’s baby shower here yesterday and the temptation of a real fire in the fireplace (we just have an electric fireplace at home) and homemade chicken & dumplings was just too much to resist so we opted to stay for awhile. Then the snow started. And has yet to stop. Plus it’s blowing and drifting like crazy. Many of the businesses here in town have opted to close for the day, for the safety of their employees and would-be patrons. This absolutely warms my heart as it is something that almost never happens in “the city”. Needless to say, it’s looking like we’ll be here for a bit. 2. About eleven years ago when I watched Felicity – in syndication, the entire series three times in a row – I was totally Team Bad Boy Ben. However, if Scott Foley had been the least bit like Jake Ballard, I may just have joined Team Noel. All this to say, I’m really glad Scandal is back from winter hiatus and even more happy that it came back the same night as the last episode of Parenthood. Ever. *sob* Also, I watched the movie Barefoot on Netflix last weekend and found that much like the other Scott, Speedman has aged quite nicely too. If these two were on the same show again, I would have a really hard time choosing a Scott. Especially since they both play the bad boy so well now. 3. Whenever I buy Tums, I always get the mixed fruit kind. And whenever I eat Tums, I must always eat one of each flavor. One red, one orange, one yellow, one green. Or, from worst flavor to best flavor. 4. When it comes to eating fruity candies, I’m that weirdo that always prefers the citrusy flavors over the berry flavors. When all was right in the world and the green Skittle was still lime, my friend Christy used to pluck each green Skittle from the bag, reserve them in a Ziploc, then hand me a bag filled with lime Skittles every couple of months. If that’s not true friendship, I don’t know what is. I could not agree less with the meme below. P.S. 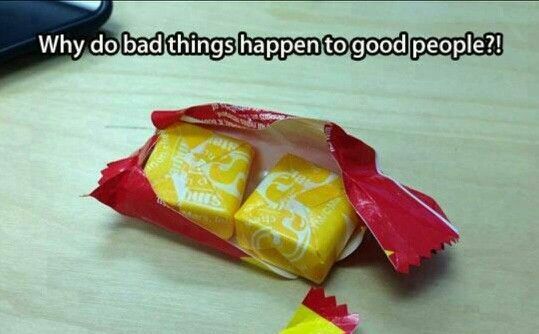 I will never forgive you, Skittles. NEVER. 5. Let’s continue to talk about eating. This is a subject in which I am well versed. I’ve never eaten a Big Mac. My hometown is so small we didn’t, and still don’t, have a McDonald’s. But we did have Culver’s and I’m quite fond of the ButterBurger. 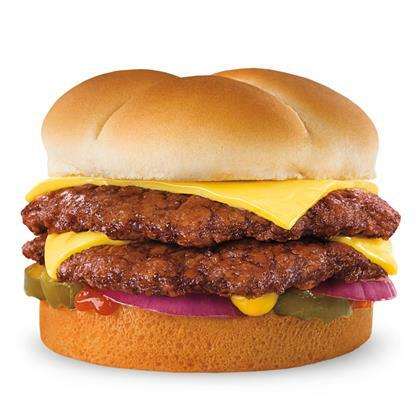 If you haven’t tried a ButterBurger, you haven’t lived. 6. It’s Super Bowl Sunday. And since the Packers decided to just quit playing at the end of the third quarter of the playoff game, they aren’t in it this year, which means the entire state is pretty much bitter about the big game today. But I suppose I’ll watch at least some of it for the commercials. And maybe a little bit for the Katy Perry. However, when did she become a mean girl? I keep hearing rumblings of her bullying T. Swift? I mean, Taylor lends herself to being picked on at times, but the girl is so darn sweet she absolutely does not deserve to be picked on. 7. When I saw this picture my heart exploded. And then it melted. In fact, as I type this post and look at this photo again, my heart is in a big, melty, puddle on the floor beneath me. 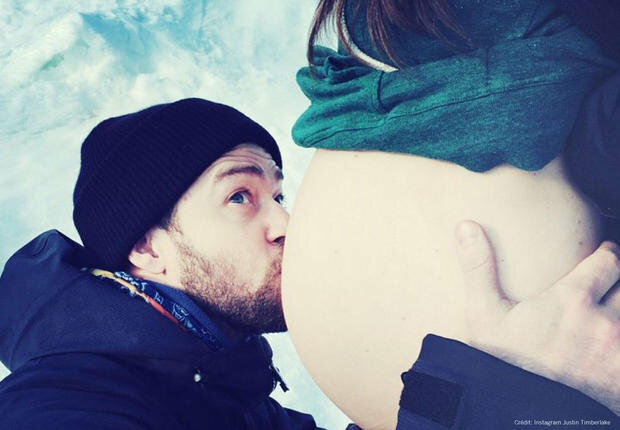 Like everything else he does, I just know JT is going to kill fatherhood. Smash it up, do it better than anyone else, and make every other dad feel inferior. Okay, maybe not, there are a lot of great dads out there. But honestly, these two seem like they are going to be the best parents. That’s one lucky baby in there! What’s up with you guys? Are you watching the game today? For the actual game or for the commercials and entertainment? Next Post Avocados. But not really.